Drop 5 shots off your next round! Grip - A video review of proper placement of hands, tension, and type of grip. Aim - video showing an aiming routine for perfect aim. Setup - A video of how to get in an athletic posture. Checkout slideshow of common swing faults, become a member and get access to video library of drills to correct them! Takeaway Drills - several drills you can do to learn correct feel of how to start the club away. Downswing Drills - several drills on correct sequence of the start to the downswing. Impact Drills - A great drill to help you with the sensation of a proper impact position. Foam Roll Exercises - Foam Roll daily to work the knots out and lengthen each muscle- Calf, Hamstring, Glute, IT Band, Quad, and Lat. 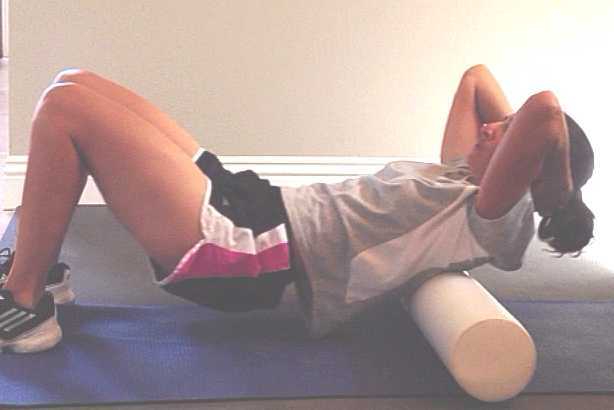 Checkout a few photos of foam rolling. 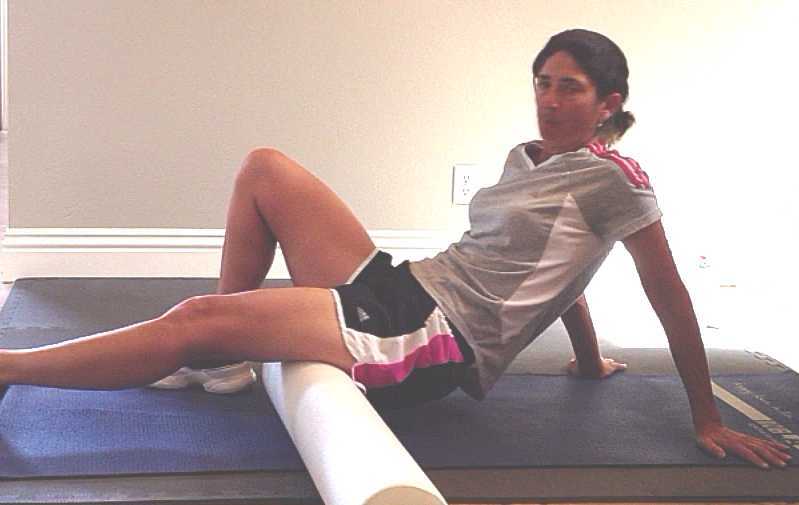 Join today to get videos of foam rolling technique. Thoughts are real, they cause biological and physiological effects on the body as if it were physically happening. The green side bunker shot is actually a very easy shot once you understand how to use your wedges bounce on the bottom sole of the golf club. The reason we open the face is to activate the bounce on the sole (bottom trail edge to bottom side of leading edge). Many golfers think opening the face is what makes the ball come out high. Think about that for a second..... your club face does not come in contact with the ball, it is contacting the sand. So, the reason we open the face is to utilize the bounce which makes the ball fly out. Here is a great Bunker Drill- Be careful with this drill- If you tend to scoop the ball you may hit on the back edge of the board and cause injury. Do slow motion first to hear, see, and feel the wedges "bounce" slide onto the correct part of the board. Something that is often overlooked as a way of improving your score is the golf equipment. The best player's in the world play with clubs that are fit for them. The average golfer tends to think they are not good enough for fitted clubs when in fact they would benefit the most from it. Think about this.... would you wear a pair of shoes that were two sizes too small for you and walk around in them until you learn how to walk??? You don't realize but your body will make compensations in the swing in order to hit the ball with ill fitted equipment. The problem is it's too hard to be consistent playing golf like that. Watch this video to learn how the direction of golf ball is effect by lie angle. 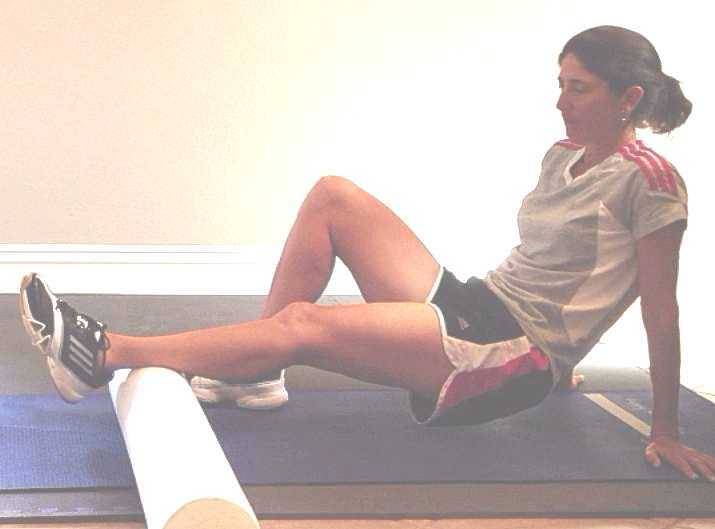 Golf Fitness - Nutrition, 6 Foam Roll Exercises and Photos, 6 Static Stretches, 8 Dynamic Stretches, and 2 Balance Exercises. Six club fitting elements and how they effect your game. 9 Reasons to Join Today! Join today, significantly lower your scores NOW! This is a complete game improvement program, NOT just a swing system. I'm LPGA Master Professional, Michelle Dube, owner of Swing MD, Inc. I have helped thousands of golfers lower their handicaps and increase their enjoyment of playing golf. Welcome to my Online Golf Instruction Site, I look forward to helping you too!